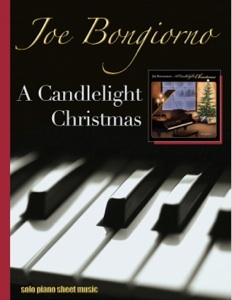 A Candlelight Christmas is the companion songbook to Joe Bongiorno’s 2010 CD by the same name. 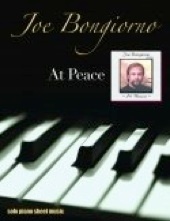 All twelve songs from the CD are included and consist of ten beautifully-arranged Christmas songs and two original pieces, both of which will undoubtedly become a couple of Joe’s signature pieces (“A Candlelight Christmas” and “Feels Like Goodbye”). These are note-for-note transcriptions by John Zechiel, printed on a light card stock with roomy spacing and crisp engraving. None of these pieces are terribly difficult, and most of them are of a similar playing level. What makes one piece somewhat more difficult than another is the key signature and/or the length. There are not a lot of chords or reaches of more than an octave, and the timing is not complicated. The fact that most of these songs are very familiar will simplify the learning process a bit. 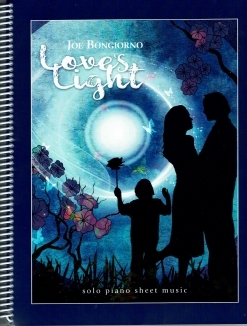 I thoroughly enjoyed playing through this book and highly recommend it! 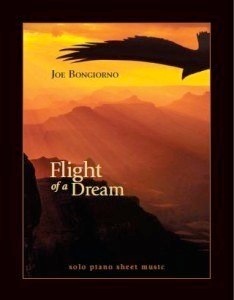 It is available from www.solopianomusic.com. The song titles along their playing levels, key signatures, and the number of pages are listed below.